MARBURY, Md. 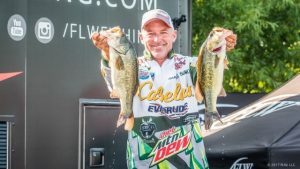 (June 15, 2017) – Pro Clark Wendlandt of Leander, Texas, grabbed the early lead Thursday after Day One of the FLW Tour on the Potomac River presented by Costa Sunglasses with five bass weighing 19 pounds, 11 ounces. Wendlandt will begin Day Two with a 5-ounce advantage over second place angler Yamamoto Baits pro Tom Monsoor of La Crosse, Wisconsin, in the four-day event that features the world’s best bass anglers competing for a top award of up to $125,000. Wendlandt said he caught around 18 keepers throughout the day, and that the bulk of his weight came from one area. Wendlandt said that there are still plenty of options for him to catch a decent limit, even if his primary area is overcrowded. Dove caught a bass weighing 5 pounds, 15 ounces – the largest in the Pro Division – which earned him the day’s $500 Big Bass award. Overall there were 752 bass weighing 2,160 pounds, 13 ounces caught by 160 pros Thursday. 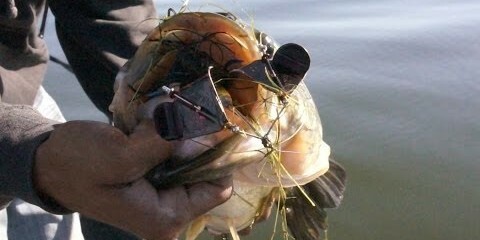 The catch included 135 five-bass limits. David Larson of Mound, Minnesota, leads the Co-angler Division with five bass weighing 17 pounds, 12 ounces, followed by Mark Horton of Nicholasville, Kentucky, in second place with five bass totaling 17 pounds, 2 ounces. Eaves earned $250 for the Big Bass award in the Co-angler Division with a 4-pound, 14-ounce largemouth. Overall there were 481 bass weighing 1,275 pounds, 14 ounces caught by 152 co-anglers Thursday. The catch included 44 five-bass limits. In FLW Tour competition, pros and co-anglers are randomly paired each day, with pros supplying the boat, controlling boat movement and competing against other pros. Co-anglers fish from the back deck against other co-anglers. The full field competes in the two-day opening round. Co-angler competition concludes following Friday’s weigh-in, while the top 20 pros based on their two-day accumulated weight advance to Saturday. Only the top 10 pros continue competition Sunday, with the winner determined by the heaviest accumulated weight from the four days of competition. Throughout the season, anglers are also vying for valuable points in hopes of qualifying for the 2017 Forrest Wood Cup, the world-championship of professional bass fishing. The 2017 Forrest Wood Cup will be on Lake Murray in Columbia, South Carolina, Aug. 11-13. The total purse for the FLW Tour at the Potomac River presented by Costa Sunglasses is more than $800,000, including $10,000 through 50th place in the Pro Division. Competitors will take off at 6:30 a.m. EDT each day from Smallwood State Park, located at 2750 Sweden Point Road, in Marbury. Friday’s weigh-in will be held at Smallwood State Park beginning at 3 p.m. Saturday and Sunday’s weigh-ins, June 17-18, will also be held at Smallwood State Park, but will begin at 4 p.m. Prior to the weigh-ins Saturday and Sunday, fans are invited to come out and experience the free FLW Expo at Smallwood State Park from noon to 4 p.m. The FLW Expo is a great opportunity for fishing fans of all ages to meet-and-greet with top FLW Tour anglers, enjoy games, activities and giveaways provided by FLW sponsors, and learn more about the sport of fishing and other outdoor activities. Youth are also invited to participate in the free FLW Foundation Unified Fishing Derby at Smallwood State Park on Saturday, June 17, from 9-11 a.m. 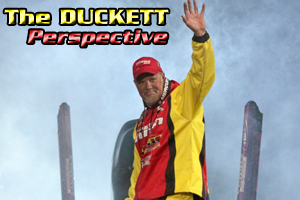 The event, hosted by FLW Foundation pro Cody Kelley along with other FLW Tour anglers, is free and open to area youth (18 years of age and younger) and Special Olympics athletes (all ages). Rods and reels are available for the first 50 participants to use, but youth are encouraged to bring their own if they own one. Television coverage of the FLW Tour at the Potomac River presented by Costa Sunglasses will premiere in high-definition (HD) on NBC Sports Network (NBCSN) Sept. 20 from 12 p.m.-1 p.m. EDT. The Emmy-nominated “FLW” television show airs on NBCSN, the Pursuit Channel and the World Fishing Network and is broadcast to more than 564 million households worldwide, making it the most widely distributed weekly outdoors-sports television show in the world. FLW is the world’s largest tournament-fishing organization, providing anglers of all skill levels the opportunity to compete for millions in prize money in 2017 across five tournament circuits. Headquartered in Benton, Kentucky, with offices in Minneapolis, FLW conducts more than 274 bass-fishing tournaments annually across the United States and sanctions tournaments in Canada, China, Mexico, South Africa and South Korea. FLW tournament fishing can be seen on the Emmy-nominated “FLW” television show, broadcast to more than 564 million households worldwide, while FLW Bass Fishing magazine delivers cutting-edge tips from top pros. For more information visit FLWFishing.com and follow FLW at Facebook, Twitter, Instagram, YouTube and Snapchat.